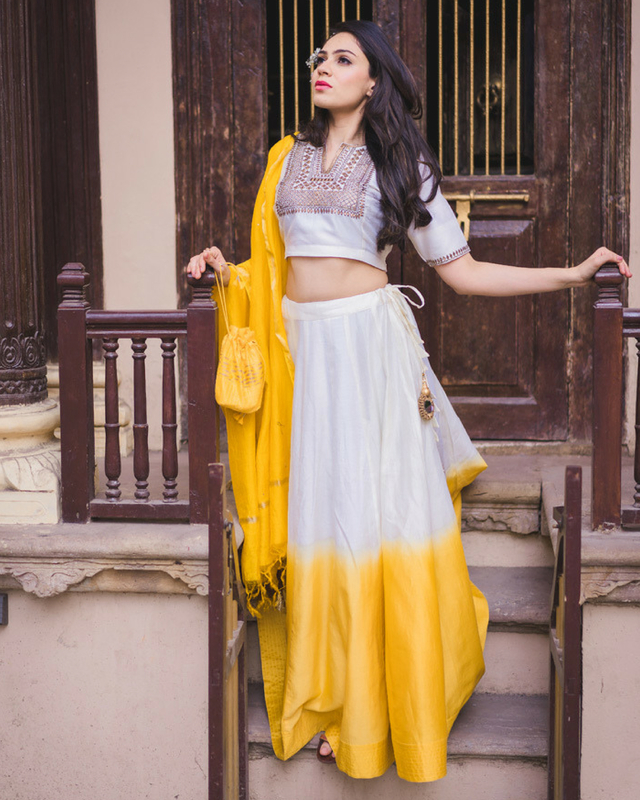 An elegant ivory mustard shaded lehenga with glitter motifs. The lehenga embraces beautiful flares and is adorned with beautiful tassels. 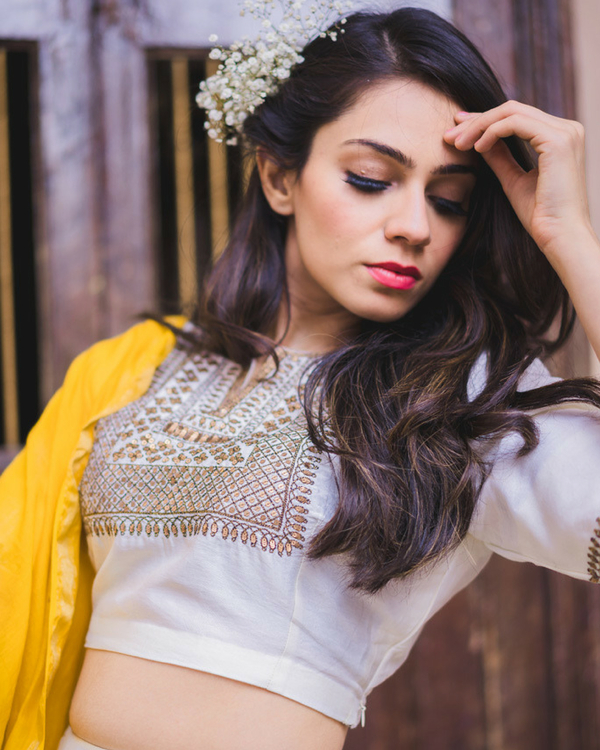 The set comprises of a chanderi choli in ivory ornamented with beautiful glitter motifs and a mustard chanderi dupatta which makes this set an exquisite ensemble for any special occasion.